Complete this form with your question or comment. We'll get right back to you. 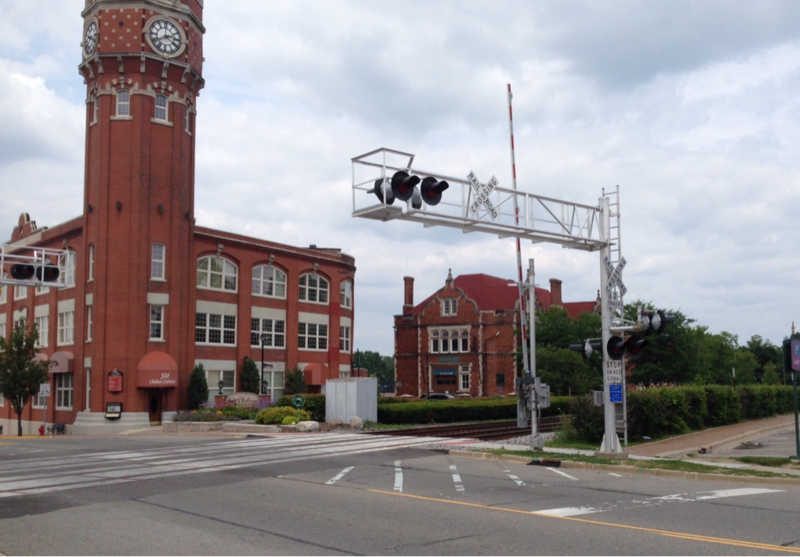 We are located in the building to the right (below the railroad crossing lights). Our office is located at 300 North Main Street, Chelsea, Michigan 48118. We are on the first floor, in Suite 1. There is free parking, including handicapped spaces, on three sides of the building. 9:00 a.m - 5:00 p.m. Monday - Friday, by appointment. Evening, weekend, and hospital appointments are available by prior arrangement. Take I-94 west from Ann Arbor. Exit 159 to Chelsea. Turn right (north) on M-52 (Main Street). Drive 1.6 miles north on M-52 / Main Street. Turn right just after the railroad tracks into parking lot for Chelsea Clocktower. Our building is directly ahead. Drive between the two buildings to park. Take I-94 east from Jackson. Exit 159 to Chelsea. Turn left (north) on M-52 (Main Street). Drive 1.6 miles north on M-52 / Main Street. Turn right (east) just after the railroad tracks into parking lot for Chelsea Clocktower. Our building is directly ahead. Drive between the the two buildings to park. Take M-52 north into the downtown shopping district. Turn right (east) just after the railroad tracks into parking lot for Chelsea Clocktower. Our building is directly ahead. Drive between the two buildings to park. Take M-52 south into the downtown shopping district. Turn left (east) at the Chelsea Clocktower. Our building is directly ahead. Drive between the two building to park. If you cross the railroad tracks, turn around: you’ve gone too far.